Order Cheap Checks Online Today and Save! 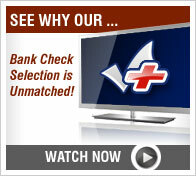 Personal Checks Plus provides visitors a fast and easy solution to finding the biggest selection of cheap checks online. Our platform combines leading check manufacturers, their inventories, specials, coupons and more together in one easy to navigate website. Our goal is to help you save time and money by researching your favorite bank checks from one place. Personal checks are an indispensable item in carrying out your business, whether it is personal, volunteer, or company business. Many people use online payments, but for purposes of tracking your expenses or keeping a paper trail for your volunteer group or company, cheap checks are essential. When it comes to ordering cheap checks, your financial institution provides very few choices and most of them are not cheap. The most economical method of ordering personal checks through your financial institution usually means choosing the plain and basic design. Online check ordering is a much better choice. You can place an online order for cheap checks up to half the cost of ordering from the bank. Even better, you can order them in a matter of minutes, if not seconds, and in a very creative and personalized choice of design — and still save money. Aside from the cost savings of ordering online, you can choose from a massive range of designs. We offer designs from numerous check printing companies. Since these printing companies have become more competitive, they have taken on completely new qualities and designs. They offer a wide range of resources that allow you to reflect your personality in innovative and creative ways. There are patriotic designs featuring scenic America, the U.S. military, Native American, historic, and founding fathers’ checks – to mention just a few. Regardless of your passions, you can express yourself and spread the word about the things that matter to you with animal, cause and charity, special interest, sports, or stylistic checks. Digging a little deeper, you can find animal rights checks as well as cheap checks for children charities, human rights, save the earth, MADD, AIDS, breast cancer, pro-choice, and La Leche League, to mention just a few. Perhaps you would like to show pride in your profession. There are career checks promoting dentistry, law enforcement, teachers, firefighters, real estate agents, hairdressers, manicurists – well, whatever your profession is, chances are we have exactly the design that suits your needs. One of the most endearing lines of personal checks are the human nature designs where you can project your culture, your religion, your love of beauty, or just a range of expressive happy faces. As well as the American, animal, causes, charity, and human nature checks, there are fun, nature, sports, transportation, and special interest checks. Whether you like Betty Boop, Batman, or Family Guy, you can find your favorite checks online cheap. You might as well let your payees have a smile when they receive your bill payment. There is more to checks than the pattern. There is the format. You can order a range of detaching methods such as side tear checks or top stub. You can also order continuous feed checks. If you are involved in a club or community group or volunteer organization, these make an ideal choice where you can print out a range of checks quickly and easily. And in a design that matches your group’s mandate. As well as these styles, you can choose from standard personal, 3-per-page draft, payroll, computer laser and ink-jet, and desk set checks. 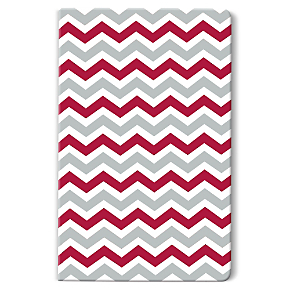 The most popular designs and the latest designs are offered with full details. However, if you want to order checks online and are not sure about the choice that is best for you, we can advise you. If you want to save even more money, you can get bargain checks in a range of special designs and the cost can be as low as less than eight dollars for a box of 102 checks. Just because they are cheap checks, don’t think that you cannot find artistic choices in this category. We also carry a line of special edition and designer checks. One example is the Admiral line of cheap checks that are blue with artistic silver foil accents. As a special addition, you can order the coordinating return address labels. The ability to order coordinating address labels comes with most online orders. 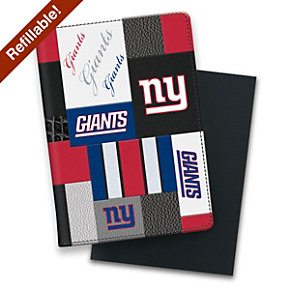 So does the chance to order coordinating checkbook covers. Whether you want whimsical Disney characters, a complete line of business checks, deluxe personal checks, or your own personal photo design, ordering them online offers you just about anything you want when it comes to cheap checks. The more boxes you order, the bigger the discount. Some checks are printed on recycled paper and built in safety and security features are a standard part of any check order. Order Checks – Why Order Online? You can get any style, large or small amounts, and in singles or duplicates, according to your preference. The choice is close to unlimited, with deluxe, designer, custom, photo, or basic blue personal checks. You can order cheap checks or exclusive personal checks online and reordering is easy. Check ordering online is a simple decision. You will have your order in less than a week and you save about 50% over ordering through your bank. Do the comparison yourself between bank checks ordering and online check ordering.